It begins with crushed/pulsed animal crackers, believe it or not. I guarantee that it'll bring out the kid in you. The crackers are blended with a little bit of brown sugar, melted butter, and pressed into a square baking pan with a "sling." Ever notice that it is difficult to get the first brownie out of a pan? Next time, try a "sling." 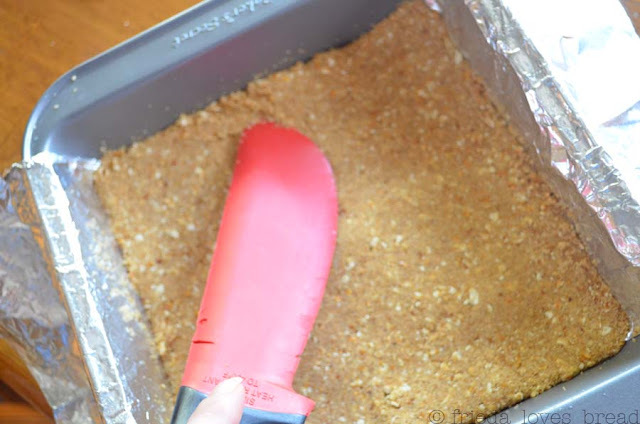 Folded foil is pressed into the pan and lightly greased, making it easier to pull out the dessert and cut them into squares. 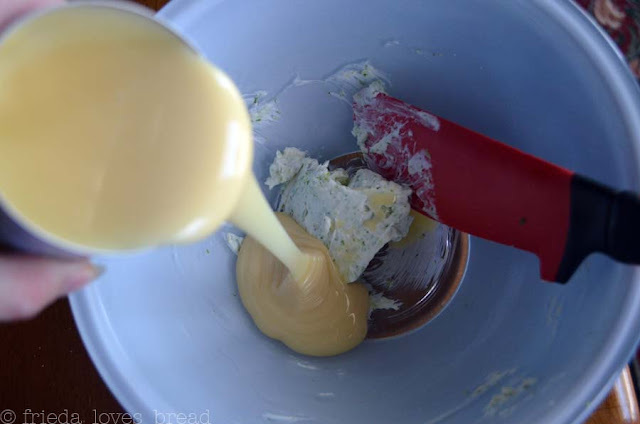 Everything is whisked together and poured onto the baked crust. Once cooled, this is only chilled in the fridge for a couple of hours. You can see how easily this is pulled out from the pan. You do need to run a knife along the side that does not have foil first. Then you can grab the excess foil on either side and pulling it straight up. I've cut this into 16 equal pieces and have even cut it into 36 bite sized pieces. 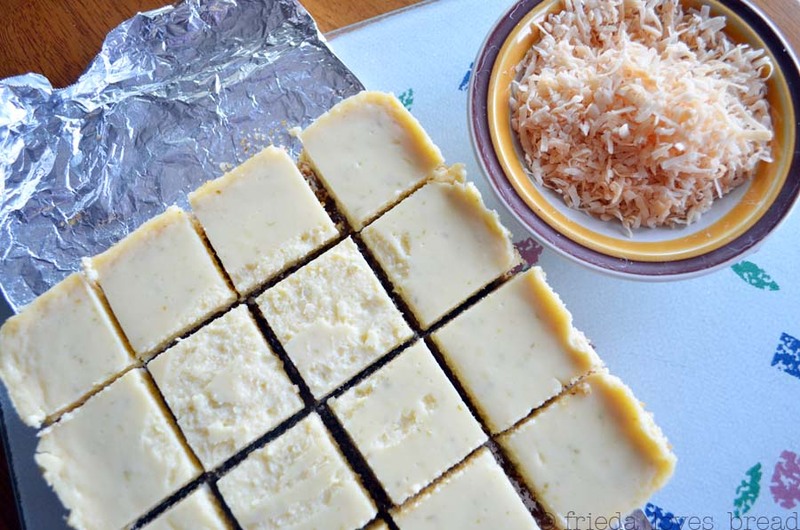 Sprinkled toasted coconut is optional, which adds textural interest and tames the lime flavor for those who find it too intense. I've made this with an animal cracker crust and a pretzel crust. Both were good, although the pretzel crust could have used a wee bit more sugar. Doesn't hurt to experiment! This recipe can be doubled and put into a 9x13 pan. Sweet! This looks fabulous. Nice and cool for a hot day. The picture is amazing too! you are my favorite person right now. 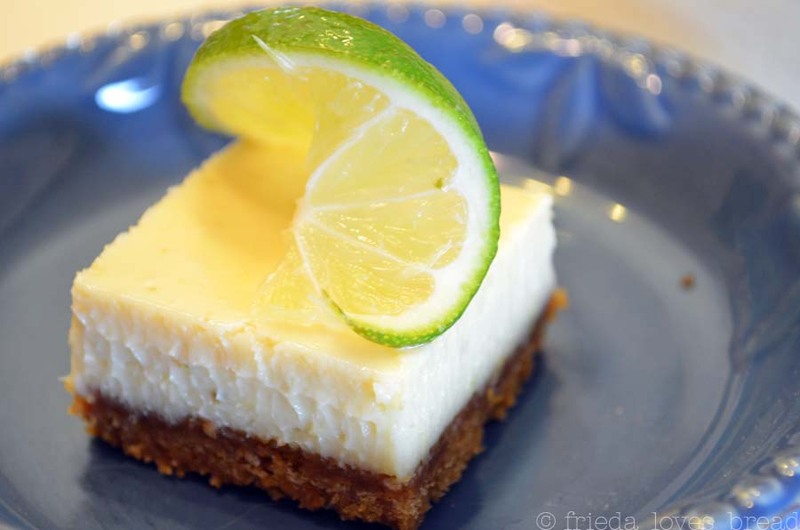 I LOVE limes and this dessert looks incredible!! Yum! This looks great, and super simple (which I love). Thanks for sharing! I can't decide which crust to do first... both sound great!! I just printed this recipe off. I cannot wait to make it. Yum. Come over and visit us. We have some really wonderful Southern recipes this month. These look great! 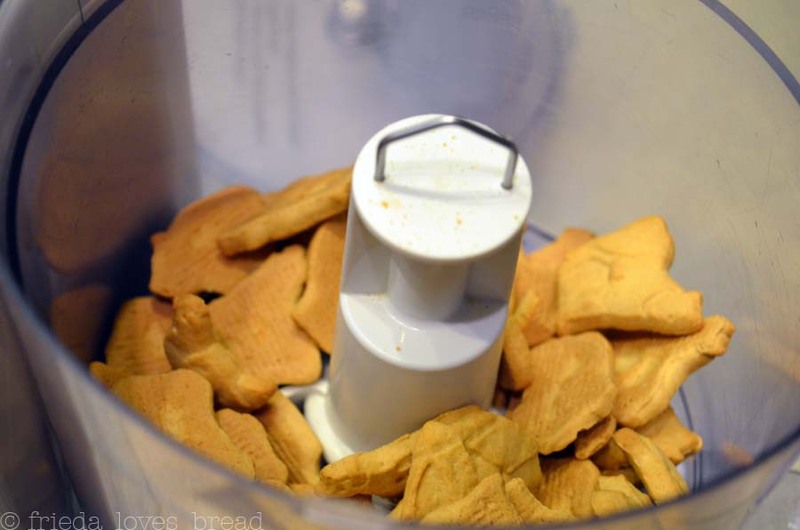 I LOVE that you used Animal Crackers instead of traditional graham crackers. GREAT job!